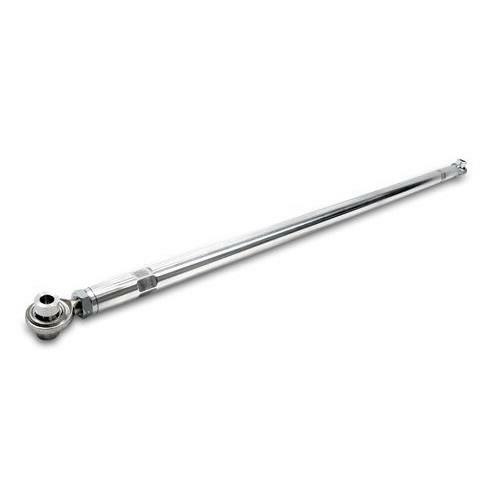 Increase stability in your S197 with a Maximum Motorsport 2005-2014 Mustang adjustable panhard bar. 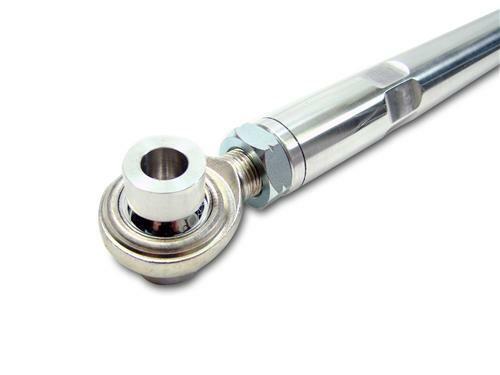 Maximum Motorsports polished aluminum 2005-2014 Mustang Adjustable Panhard Bar with Teflon lined spherical bearing rod ends with machined aluminum inserts is the strongest panhard bar system for your 2005-2013 Mustang & helps increase stability by removing the compliance of the soft factory rubber bushings. 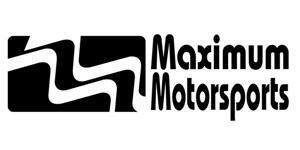 Soft rubber allows the axle to shift more easily underneath the car under cornering loads. The adjustability of the Maximum Motorsports Mustang Panhard Bar allows you to re-center your rear end after your lower your Mustang. If you lower your car, you need this bar! By nature, a Mustang Panhard Bar will alter rear end position as ride height changes. 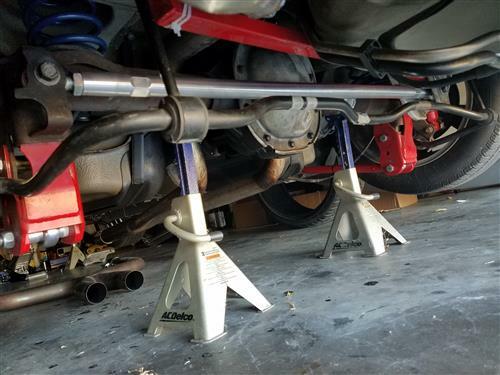 This makes it necessary to use an Adjustable Panhard Bar when lowering your vehicle as it allows you to re-center the rear end. Adjustable Panhard Bars also become a "must-have" part if you are trying to fit the widest tires possible in the wheel well. 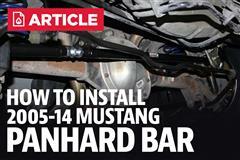 2012-2013 Mustang Boss 302 Specs » What Is A Mustang Panhard Bar & What Does It Do?